Growth, development, behavior... All these words are inseparable when speaking about education. Studies show that human development is especially transcendent during the early years, and indicate that the physical environment where this growth occurs is also very relevant. This is why schools, kindergartens and institutes of secondary education are being analyzed and studied from various points of view, including an architectural one. 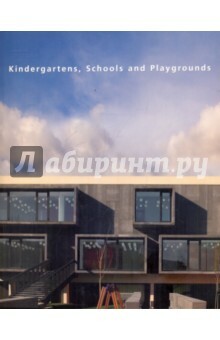 This volume contains a selection of educational centers from around the world that combine technological and constructive aspects with the creation of atmospheres that are suitable for students. For both children and teenagers these centers are places that are full of creativity and imagination, where they can develop as people and complete their education.